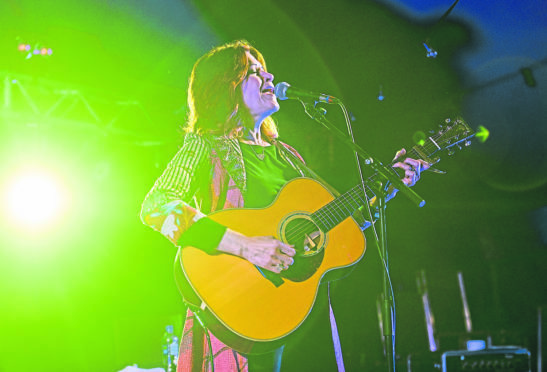 Roseanne Cash performs on the Grassroots stage. The team behind the hugely successful Belladrum and Groove Festivals is to stage a brand new one-day festival in Inverness next summer. The Gathering will celebrate the very best music, food and drink the Highlands and Scotland has to offer. The family-friendly event will take place in the city’s Northern Meeting Park on Saturday, June 1, and feature a host of exciting traditional and folk-based bands from the Highlands and throughout Scotland, alongside high-end craft food and drink suppliers from the region. Headliners for the inaugural event are Tide Lines, and joining them will be The Vatersay Boys, Elephant Sessions, Ho-ro, Siobhan Miller and Torridon. Young Moray-based musician Calum Mackenzie Jones will bring his Scottish folk outfit The Trad Project to the Gathering while the City of Inverness Youth Pipe Band will open up proceedings in true Highland style. Promoter Dougie Brown, who is organising the event along with established festival organisers, Joe Gibbs and Caroline Campbell, said: “We are delighted to be launching a brand-new city centre event for Inverness and hope The Gathering becomes a permanent fixture in the Scottish event calendar. “We have a wealth of musical talent and incredible food and drink producers across the Highlands and Scotland and through The Gathering we aim to bring everyone together and celebrate the very best our region has to offer. The event will move away from offering traditional festival fare such as pizza and focus on high quality locally-sourced meats such as lamb and beef; craft beers and spirits. A full range of Highland breweries and distilleries will be taking part. “What we really want to get across to people is that this will be a festival showcasing the region in a very modern way. Tickets for the event go on sale today.